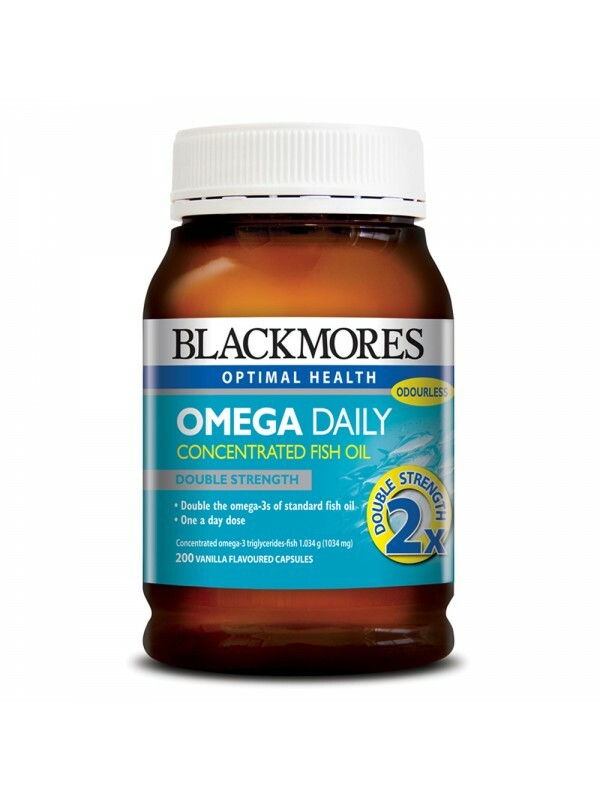 Blackmores Omega Daily is a source of concentrated omega-3 fatty acids derived from fish oil and contains double the omega-3s of a standard fish oil capsule to help promote optimal health and well-being. Blackmores Omega Daily contains high quality concentrated odourless fish oil, without the use of artificial surfactants, made from a specialized purification process to ensure high quality and purity. It's concentrated so that you take just one capsule a day.